Summer is coming, so I want to caution you all that if you are still using turpentine-type spirits with your oil painting, remember that they can spontaneously combust at 86 degrees fahrenheit–just a mere 86 degrees! They have the lowest flashpoint, coupled with the highest volatility rating, of any other kind of combustible. So if you leave a paper towel or rag with turpentine on it in your studio, you could have the recipe for a fire. You can buy a special can and lid made specifically for oily rags, but the least expensive way to ensure safety is to have a metal trash can outside, away from your house, with a little water in it; then drop your rags in there each day when you finish work. Later, you can take the lid off and let the water evaporate, rather than polluting the ground or pouring it down a drain to get in the water system. Then just throw the dried rags in the trash. Solvent vapors can cause cancer with prolonged exposure, so don’t keep medium and brush cleaning solvent containers open on your taboret any longer than you have to. The less exposure you have over time, the healthier you’re going to stay. If you can’t do without spirits, choose the least damaging kind and keep it stored in an airtight container. There is a new one out with a flashpoint of 200 degrees, called Turpinoid Odorless Mineral Spirits Light–this doesn’t mean that it’s safe to leave it uncovered, or to breathe deeply just because you can’t smell it, but it is a better alternative because of the lesser fire hazard. Just remember that Turpinoids are not for use in oil painting. They are just for cleaning brushes, because they tend to have residues that can inhibit or prevent complete curing of your paint film. And remember that solvents of any kind are not for cleaning hands! No, No, No! Instead, use any kind of oil (olive, coconut, baby oil, etc.) followed up by soap. Same with brushes. Remove as much paint as you can from your brushes, then use olive oil to remove the rest, followed up by soap. 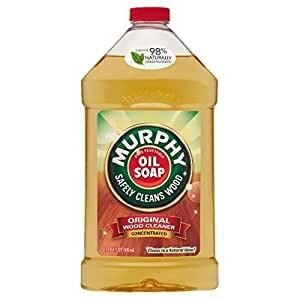 And speaking of soap, some of you probably already know about this and have some under your sink, but I’m a “newbie” and have just tried Murphy Oil Soap for the first time–I love it. There’s a reason why it’s been around for more than 100 years–what an amazing soap! 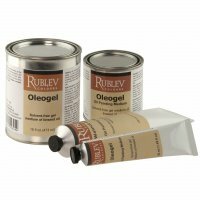 It so easily and quickly removed oil paint residue from my shirt, that I tried it on my brushes. It cleaned them faster and more thoroughly than anything else I’ve ever tried, and left them soft and beautiful with no residue–and Murphy has 98% natural ingredients and is non-toxic. We keep learning, right?